Two days ago I recieved my very first shipment from Karen's Body Beautiful, a natural based company out of Brooklyn NY. I decided to wash my hair and condition it with the KBB deep conditioner. Various scents are available but I purcahsed luscious pear. I was100% pleased with the scent but I wondered if this light weight product would really moisturize my dry hair. 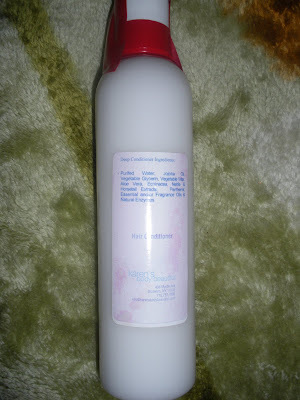 The paraben free, natural conditioner contains panthenol which is supposed to seal hair follicles. 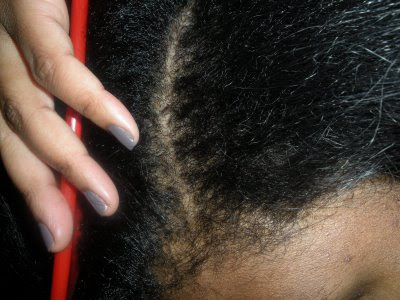 This will help to keep that moisture in your hair strands. After washing my hair not only did it smells like deliciously fresh pears, it as SUPER SOFT. I kid you not, KBB has just become a staple for me. My hair was shiny, soft and bouncy. My only thing is I wish this product would be offered in larger containers. This must have conditioner cost me a mere $16.00. Have you tried any KBB products? Not long ago I was watching one of those plastic surgery shows and a woman was getting her hands worked on. She injected fat into her hands so that they would not look as old. While I would never go that route, I do appreciate the importance of taking care of your hands even before any signs of aging appear. My sister purchased the $15.00 Satin Hands scrub from Mary Kay and I like it. 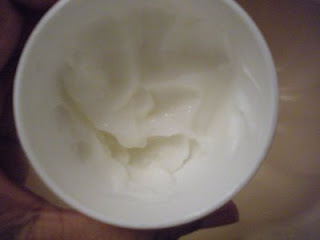 It contians peach seed powder and it really smells like apricots or peaches (can't tell which ..lol). It also contains some parabens BOOOOOOOO. After using the scrub my hands are even silkier so that's great! Long story short I like this product but the parabens make me pause when it comes to getting it again. Today I'm getting my first delivery from Karen's Body Beautiful....I hope I love it. Thanks so much to all of you for your comments on my post yesterday! On another note, I will not be able to post on a product today things are super busy for me right now. I will post tomorrow though. If you have a moment, what your opinion on this issue? Recently I blogged about the new $360 Givenchy moisturizer, which includes special ingredients. Theraputic Musings promised to hunt me down and kick me in my shins if I spent t hat much money for a moisturizer..lol. So while I didn't purchase the product, I did get a free deluxe sample and I now face a dilemma. I really like this moisturzer....lol. What's a gal to do? Do I really want to consistently spend $360 on a moisturizer? I'm still thinking this through.....On to the review..... 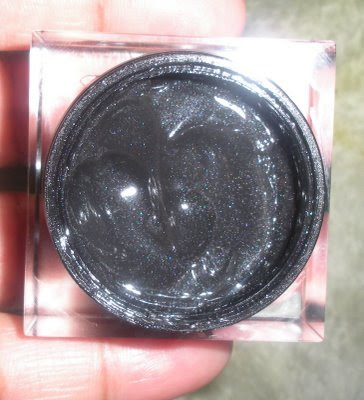 The moisturizer is more like a light black color and it almost shimmers like it has glitter in it but it does not have actual glitter. 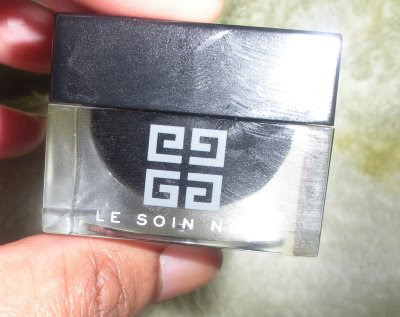 The product feels so silky, it just glides on my skin. It almost feels like gel. Of course I have not been using this product over a long period of time and I don't have wrinkles so I can't say that it works in that regard. However it leaves my skin feeling moisturized even in this COLD NYC weather. It almost gives my face a little glow and that alone makes me happy.I wish you could all try this product out to see what I mean. Hopefully you will find a sephora near you which carries the Givenchy skincare line.Getting this once isn't an issue but I am thinking of long term financial issues if I tie myself up with such an expensive moisturizer.For now, I will just try to get my hands on as many samples as possible until I can determine what I really want to do. 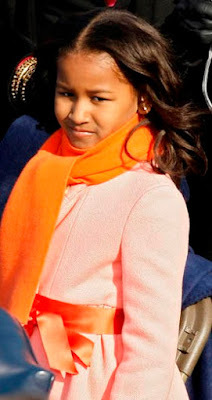 I am certain that many women will now try to copy the hairstyle commonly worn by Michelle Obama. 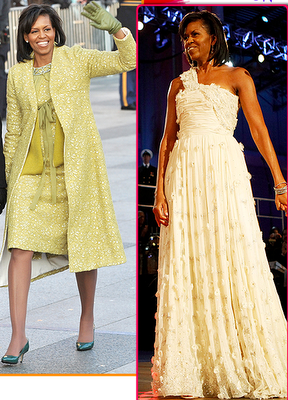 The people from Motions spoke with celebrity hairstylist Yusef Williams, who has styled First Lady Michelle Obama for many past occasions. He gave them tips on how to get Michelle’s signature bob, the style she also wore to the Inauguration. “Michelle has really great hair so you don’t have to do a lot to it,” says Yusef. The right shampoo and conditioner are key components for achieving this look. “I like to use a shampoo and conditioner that are lightweight, but still help to lock in hair’s moisture,” says Yusef. To get the look, try a weightless shampoo and conditioner such as Motions Weightless Shampoo and Motions Weightless After-Shampoo Conditioner. Blow dry hair create volume and lift at the roots. Next, go over the lengths of the hair with a flat iron to get a smooth finish. To protect hair from heat appliances, use a protecting spray, such as Motions Heat Seeker Protecting Spray. Add a sleek and elegant swooping side bang to give hair movement. To keep the look in place rub a bit of light, non-greasy pomade, such as Motions Shine Enhancing Pomade for style control. Have you tried these products? Will you try to rock the Shelly O hairstyle? Despite what is advertised in all of their commercials, Dove soap had never made my skin feel soft and silky. In fact it has always made my skin feel rubbery,until now. 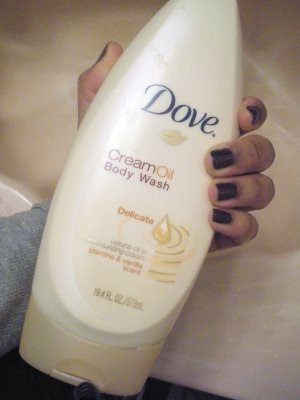 I tried the Dove Cream Oil body wash (delicate) and I must say that it does give my skin a much better feeling that I would usually get with Dove products. I would made this $5.85 (for 19.4 oz) purchase again. 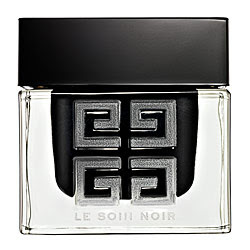 It is a lightly scented jasmine and vanilla fragrance. It contains soybean oil which may be one reason why this light product works well with me skin. Do you like Dove products? I saw the movie Not Easily Broken starring Taraj P. Henson and Morris Chestnut. It was basically about the many struggles of this couple trying to keep their marriage afloat. I was not disappointed after watching this film, it was nice. Without giving too much away for those who still plan on seeing the flick relationships can be hard. Question-If you really want children and your mate does not, what would you do? You may have heard that all Circuit City stores will be closing down for good. On Saturday I may my way down to my local CC in hopes of getting my hands on a beautiful all in one touch screen computer that I have had my eye on. However I refused to get caught up in the purchasing frenzy becuase the discounts are minimal at this point (well it depends on what you want). I will try to hold on till the final hour, right before the dorrs close and hopefully I will still be able to get what I want but with a better discount price. I placed my first order from Karen's Body Beautiful so I am excited and eagerly awaiting the arrival of my goodies. 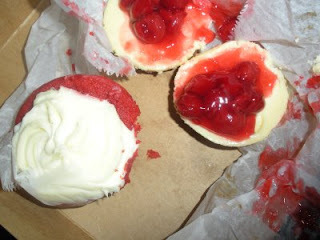 If you are in NYC, you may want to try out the sweet treats sold at Heavenly Crumbs. The desserts are super delicious and moist...love it. If you check out the website you will see some of the many designs she can create. 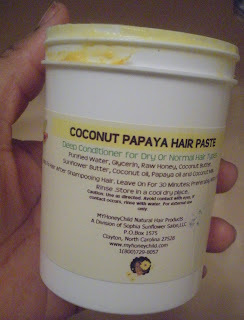 The My Honey Child Coconut Papaya hair paste is an all natural deep conditioner that can be used monthly to restore life to damaged or very dry tresses. The quick review is that it makes my hair soft and it smells great. You will pay $12 for an 8 oz jar and $22 for the 16 oz jar. Here are the ingredients:Purified Water, Glycerin, Raw Honey, Coconut Butter, Sunflower Butter, Coconut oil, Papaya oil and Coconut Milk. In recent times you may have noticed that stores like CVS and Duane Reade have been trying to offer more services in their stores. For example many of these stores now have beauty consultants on hand and little beauty stations where you can receive a free consultation. I usually walk right on by those stations without a second thought, but this week I was caught! Yesterday, when I walked into a nearly empty Duane Reade store, an employee offered a skin care consultation and I quick to decline the offer but her persistence paid off. I sat down and she pulled out two devices, one measures the hydration level of your skin while the other magnifies the imperfections on your skin. So first the hydration device, she gently pressed the hand held device against my face and up pops a number 22.2. This number means that my skin is slightly dehydrated..YIKES. She explained that if your number is below 20 your skin is totally dehydrates and a number like 40 and above means that your supple skin is well hydrated. This woman has no idea what she has started because in my mind I just began operation "HYDRATE SKIN" and I WILL be back to her station until I reach 40 :-). Ok so the second device magnifies everything, i was able to see blemishes in 3D as well as minor sun damage....gee whiz. Anyway I will be going back to using a moisturizer with spf to prevent any further damage. So did you hear the news? 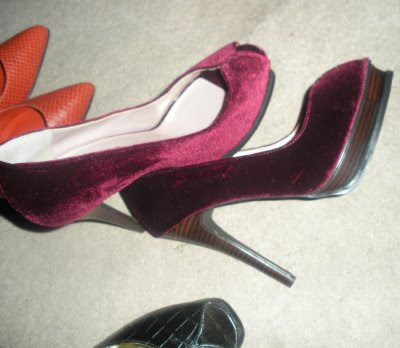 One of the Atlanta Housewives received the ROYAL BOOT this week and will not return for season 2. Check it out here. Would you try this product? Or better yet would you BUY this product? Sorry I gotta run so that's all for today. Perhaps I will post the product review later tonight.....sorry. You may have heard of the famous hair stylist Ted Gibson, but have you heard of Mr. Eugene Smith, the hair growth expert who works at Ted's NYC salon? Eugene is sharing some of his hair growth tips with Essence, take a look at this hair care system. At the end of the presentation, you will see testimonials from people who achieved growth after working with Eugene. If you are in NYC would you consider making a trip to see this celebrity stylist? During the interview Eugene mentioned that he uses the Ted Gibson hair sheets, which I reviewed a long time ago. In my previous review I didn't like this product at all but since I still had a few left I tried one last night and there is a slight change. I still wouldn't buy this product again but it didn't make my hair feel dry. Perhaps there was something in my hair already that didn't agree with the hair sheets when I first tried this product. Nevertheless my hair still looked dull in appearance, it actually took the shine right off of my hair. It was not grainy at all so when I lightly rinsed it out no hibiscus powder was left behind. I think the color was a little more pronounced with the extra hibiscus, but it was all gone by the time I washed my hair out again. My camera isn't available at this moment so that's why you don't have any new pics today, aside from my scalp shot that is :-). Last Friday marked the end of my 7 day GNC cleansing process. For the first three days nothing of note happened and I felt no change in my system. However, during day four I felt an almost uncontrollable rumble which let me know that I would not be able to contain myself until the work day was over. (You can read between the lines) Let's just say I wanted to ensure that the coast was clear before I was seen entering the restroom. This continued from days 4-7. The pre fiber mix that you have to take at breakfast was not bad at all. While it was not a tasty treat that I would reach for if I needed a snack, it was certainly bearable. I was really expecting a harsh taste but it was something I could drink regularly, not that it was delicious, it just wasn't as bad as I had anticipated. This total cleanse is supposed to clean out your liver, kidneys, entire intestinal system and improve our blood circulation. Aside from the instestinal cleansing, how am I supposed to know if this worked? Both my liver and kidneys appeared to be working quite well before I hopped on this system, so I can not say for a certainty that anything has happened in that area. The same goes for better blood circulation, I can not detect a difference. One point of note is that I believe this system suppressed my appetite, I didn't have a craving for any additional snacks or treats. Perhaps it's the cayenne pepper in the system that kept my feelings of hunger under wraps. Cayenne pepper is also supposed to help with the circulation of the blood so maybe something has improved in my system, who knows??? The salesman told me that after finishing this cleanse any vitamins that I would put into my system would be better absorbed and it would become more effective. Following the cleanse I took the acai pills for the first time and I think I did get a boost of energy. The only problem is that I didn't try the pill before the cleanse so perhaps I would have felt the same energy related boost. I wouldn't hesistate to do this cleanse again. 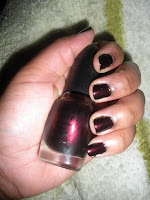 To make a long story short, I tried the Diamond Shine nail hardener by Sally Hansen. This product can be used as a top coat, base coat, or nail hardener. Yes, it keeps my polish shiny but it also extends the life of my polish. My nails are notably stronger so I am very pleased. This product was roughly $4.00. How do you keep your nails strong? Last Thursday I saw the new CoverGirl Outlast lip stain and I decided to walk on by. By Friday evening I decided to make the purchase and here is my review. Are you a part of the 42.2% ? Yesterday we had a healthy discussion about Neenah, the woman who created the site 52weeks2findhim.com in an attempt to find her future husband in a year. Some readers felt like creating a website to find a husband is a bit drastic and maybe a little desperate. However other readers were able to relate to the dating frustrations that Neenah must have faced which caused her to create her website. Neenah is an educated woman of color and she is clearly part of the 42.2%. The fictional movie "Something New" starring Sanaa Lathan, highlighted a real statistic, the fact that 42.2% of black women have yet to be married. This percentage generally impacts the lives of black women who have degrees from institutions of higher learning. Think of the black woman with the great job, great education and no husband and there you have a member of the 42.2% crowd. As you get older some women think that it is less likely that they will find a husband to grow old with, so what is a lady to do? This is probably why women are turning to alternative means of finding love because the dashing gentleman riding his white horse is not easily found. The beautiful blogger Tami mentioned in the comment section that she too has tried different methods of meeting eligible bachelors but like Neenah she has not found the ONE. I know a really charismatic, sweet, ambitious well educated woman who is about to turn 50. She has been single her entire life and she would really appreciate it if Mr. Right would stroll into her life. I should state though, that she doesn’t just sit back, she is pretty social and very friendly so she is always trying to meet a potential love interest. She looks great and really keeps herself together, yet she is as single as they come. WHY WHY WHY???? Although many of us may be in our 20's now if you are well educated and successful in your careers, it is likely that you may become a part of the 42.2%. While we bask in out 20's now, 60 will roll around sooner than we may think. How many of us will still be single at that point? If you are single when we hit your 30's, 40's or 50's would you break out of your comfort zone and explore alternative methods of finding the ONE? B and Justme are just two bloggers who had fitness, health and well being on their minds this week. I recently stumbled upon a youtube video created by BeautifulBrwnBabyDol who lost roughly 80 pounds and she is looking great. She has some videos showcasing what she eats, motivational videos and even videos on exercise so check her out when you have a moment. Below you will find her picture filled video of her dramatic weight loss transformation. If you recall I said I would do a BeeMine hair growth challenge to see if the product really works when it comes to making my hair grow faster. When the entire process is done I will create a video or maybe I will do a different video for each week (not sure yet). At any rate here is a quick mini preview ( I ran out of time to make a real video for today) with a pic of two sides of my head, one with a beemine treatment adn the other without. The first picture, A, is of the area that received the BeeMine treatment while picture B is the section not receiving the treatment. 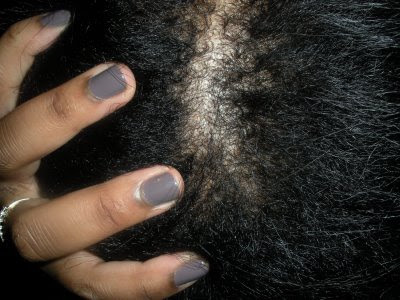 Personally I think the side with no treatment has more hair that looks like new growth...wierd huh? Did you guess correctly? Well that was just the first week and there is more to come so stay turned to see how this all plays out. 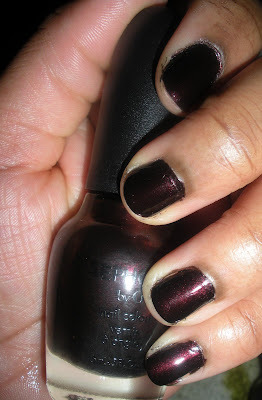 Today is another nail polish post, this time I am featuring "I'm With Brad" by Sephora OPI. 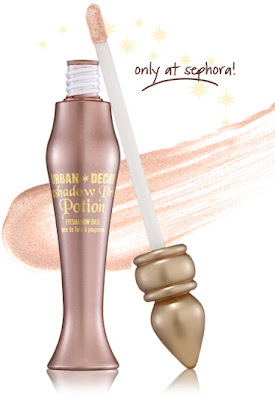 This $9.00 was sold out in two Sephora stores but I eventually tracked it down. 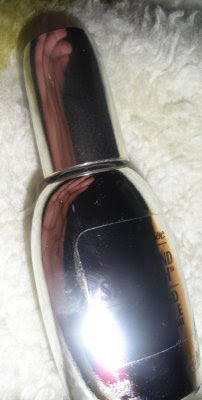 One thing that I must note is that the Sephora OPI polishes do not make use of the regular wide OPI nail polish brush. I just wish they would use the same standard size brush because I like how much surface area is covered with just one swipe of the larger brush. The color is like a dark wine with sparkles in it, but not annoying sparkles that a big and chunky, just cute almo st not there shimmery flecks. You may have already heard about this woman but yesterday I received my introduction to Ms. Neenah. After arriving at the Essence website, I saw this woman who has taken matters of the heart into her own hands. This 42 year old never before married, communications consultant is trying to find her husband in 52 WEEKS! Yes, ladies and gents she has created youtube videos and an entire website 52weeks2findhim.com looking for her future husband. No sitting around waiting for Mr. Right to fall from the sky, Neenah has created a space where men can watch and listen to her likes dislikes etc. She even has a few of her friends in on this process to assist in guiding her to THE ONE. Men are able to send her their pictures and to fill out her electronic profile. Apparently she has tried many means to find Mr. Right but to no avail. Many people are applauding her for taking this road to romance. Would you do something like this or is it just too much? What do you think? Does this move reek of desperation or has she developed an ingenious personal dating service? 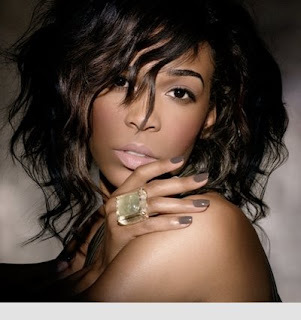 Last week I told you that I just needed to have that OPI polish that Michelle Willaims was wearing for Essence magazine. Many of you identified the color as You Don’t Know Jacques from the OPI French collection. So I knew that I would go right to my main nail polish spot. If there is a new OPI color, this guy has is but he DIDN'T have "You don’t know Jacques". He told me he hasn’t been able to get his hands on it, so the little "You don't know Jacques section was all labeled but completely empty. My heart sank as i pounded the pavement in search of other stores that sell OPI but to no avail. 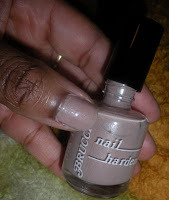 Then I went to this new Duane Read that opened and the y had Brucci nail polish on sale for .74 (select shades only). I found a taupe color named Taupe Matters (picutred on right) and that was as close as I got to the color in the picture. I also purchased the brucci color Christopher Street (pictured below) this polish is nothing like the OPI color, I have no idea what I was thinking. Then I decided to go to Sephora to check out the Sephora OPI nail polish and I got Metro Chic. This poslish cost $9.00. I thought it was a match for You don't know Jaques but once I put the pictures up side by side I see they don't look alike at all..lol I guess I still need jaques even though it seems to be sold out in every store. I will have to buy it online I guess. For those who wear makeup you may use a makeup remover first and then wash your face with your normal facial cleanser. 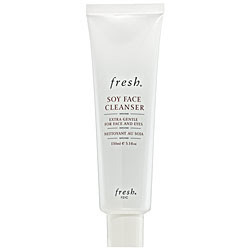 Fresh is trying to make your work a little easier through their Soy face cleanser which allows you to wash your face and remove makeup at the same time. AS usual I was the skeptic. I decided to put this cleanser to the test when I was wearing mascara, and the results were great. My mascara came right off, now I must mention that it was not waterproof mascara but it just melted that product off of my face. My skin had a clean feeling all over my face. You will pay $15 for the 1.7oz tube. This is a very mini update on the total body cleansing program that I mentioned last week. I started the program on Saturday so I have only completed two full days thus far. I thought the little fiber mix that you take with breakfast would be disgusting but it actually isnt bad at all. I mix it with 4-6oz of orange juice and drink it down. A diet plan is included in the box but I am not following it strictly because there are things listed that I don't eat. I think i am making really good substitutions like plain oatmeal with absolutely no sugar to replace rice cakes (yuck)..lol. Of course I can't tell if it is cleaning my liver, kidney or any other organ but maybe it is too soon to tell. This system promises not to have you running to the bathroom every two seconds and I would have to say that so far it lives up to that claim. I will give you another update at the end of the seven days unless something eventful happens before then. Will you do anything different with your hair in 2009. What are your 2009 hair goals? What would you like to see happen to your hair by Dec. 09? personally I want to see all of my hair at the same length lol (except for the bangs)..that would be awesome. I also would like to retain the 6 inches that we all get each year. I know that some get more but in general we all grow 1/2 inch each month so I want all 6 to still be there by the end of 09. In order to reach that goal I will moisturize moisturize and moisturize my ends. I am also sealing again so I hope that helps. I have very dry hair so when I see products geared toward dry hair, I just have to buy it. 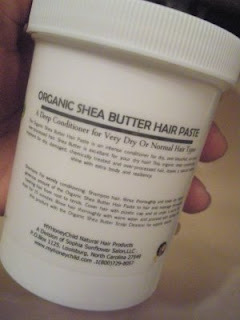 I purchased Organic Shea Butter Hair paste from My Honey Child, because the claim is that it will restore vitality to parched tresses. 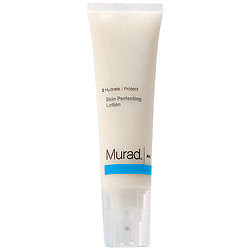 This $15.00, 8oz product was just ok. It certainly wasn't a horrible product but I didn't walk away with super moisturized hair. I wouldn't buy this product again especially because it smells like poison mixed with peppermint. Anyway I love that natual ingredients listed below. The only reason why I will not put this item into the skip it files is because it wasn't terrible, I mean it did give me a measure of shine, my hair wasn't a crispy dry mess and it felt soft. The moisture just didnt last as long as I would have liked. I would say my hair was screaming for moisture the next day. 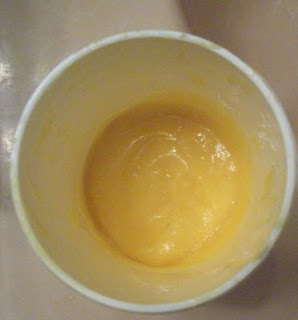 I think, no, I KNOW her honey hair mask provides me with tons more moisture for days on end. Ingredients-Purified Water, Shea Butter, Lavendin Super Organic Essential Oil, Palmarosa Organic Essential Oil, (Sweet Almond, Avocado, Sunflower and Organic Shea Butter oil), Unfiltered Raw Honey, Organic Aloe Vera Juice, Wheat germ Oil, Organic Kelp Powder, And Vitamin A and E Oil. So there I was just flipping through the channels yesterday when I caught the tail end of bridezilla, it was entertaining to say the least. I was poised to change the channel when this new show named Momma's Boys started to come on. It is a show where moms will help their sons to pick out the best woman possible. I thought it was regular tv crap (and it is) and I was going to turn but then I decided to at least see what all of the contestants looked like..lol. 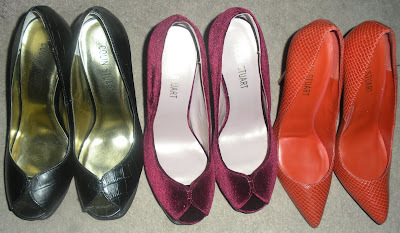 I ended up staying on that channel much longer than I had anticipated but there was one mom who made me decide to write this random section of this post. She was describing the woman she wanted for her son, no, she was actually describing those who were not suitable for her son when she said- "I dont want a Black one, no Asian, no Jewish girls, no mixed." She then repeated her comments later in the interview and stated even more about how she doesnt want that for her son. She was very condescending and just plain old rude in the manner in which spoke about all non white women. She also said no big butts, but that's another story. Anyway when she was poolside with a group of black women she said "so you ladies play basketball". UMMM yea she said it. Anyway as one woman explained that she earned as masters degree, this mom could obviously care less as she changed the subject. One woman in particular confronted the mother and demanded an explanation to which the mom said "Im not a racist I have a black godson, and I know members of the Detroit Lions and I love them, I have black friends." The point of this randomness is the guy's mom and all people have the right to have a preference, but when does preference cross the line into racism? I know the way that a person excludes others is a factor but is there anything else that would make you say a person is out of line? Also when your kids are older do you secretly have a preference regarding who they bring home to the family? I knew a guy in college who seemed open to women in general but stated that he could never bring home anyone outside of his race because his mom told him to keep the blood lines pure. Ok in the movie Something New with Sanaa Lathan, her character said she has a preference for black men. While she described it as a preference her co star described it as her "preference to be prejudice." When does a preference become a prejudice? Is there really a difference between the two? Have you considered interracial dating? Whether you have or have not do you think society or your family members had a part to play in helping you to form your decision? Touchy subject I know but I would like to hear what you have to say. No need to answer all of the questions...lol I know I listed a few too many. P.S. I will respond to all of your comments from this week over the weekend. I was going to take a little break today and then I said "PJD are you crazy?, you have to start the year off with a post. " Today the products I will discuss indirectly relate to beauty, but they are directly connected to healthy. I went to GNC and I picked up Acai Blast which is a pill version of the Acai fruit that Dr. Oz spoke about on Oprah. This fruit is packed with more antioxidants than pomegranate and some of the other fruits. It will give you even more energy and it will help to prevent free radicals from destroying cells in your body. YAY I paid 11.99 (sale price) for 60 pills, this item usually costs $14.99. I also picked up Complete Body Cleansing Program which is a 7 day total body cleansing system. The GNC gentleman told me that this is better than some of the other cleansers on the market because it cleans not only your colon but your entire intestinal system including items that may be hanging around your intestinal wall. This program last for 7 days and the $34.00 box ( I got it on sale for $26.00) is for one person only. The package includes pills that you take in the morning and packaged pills that you take in the evening. You also have a fiber drink that you have to mix and another pill to take in the evening. You are not supposed to take vitamins while on this system because it will flush them out of your system. I am doing this program because I want a healthier body inside and out! I will keep you all posted on my results. Have you tried either of these products? I am not a fan of chocolate at all but when I feel the need to indulge I now know that I can reach for Lindors White Chocolate truffles. This bag of 12 Lindor balls will cost you $2.50 at Target and I think the creamy filled center is worth it.